*PLEASE NOTE* Shows and bookings are subject to change depending on weather, venue choice, band choice, death, or illness. Please be patient with us we try every option available to play, but there are some things we just cannot control. 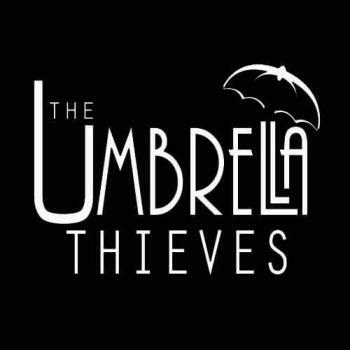 The Umbrella Thieves are a high energy collective that focus and thrive on variety and versatility. They pride themselves on the ability to pull off countless genres of music with precision and finesse. What stands them apart, is the ability and drive to keep things current and fresh. No two shows are ever the same. They stay on top of the trends, and the charts. If there's a new hit song out, chances are, are already on it for you! You can keep up with these sneaky thieves on Facebook and their website www.TheUmbrellaThieves.com. If you have a song request, please make sure you enter it in our their website and Check out their videos, calendar and more! 7:30 PM - 11:30 PM GRILLS GETS DOWN FOR THE THIEVES! 6:00 PM - 10:00 PM THE Umbrella Thieves DEBUT at Gators Dockside!